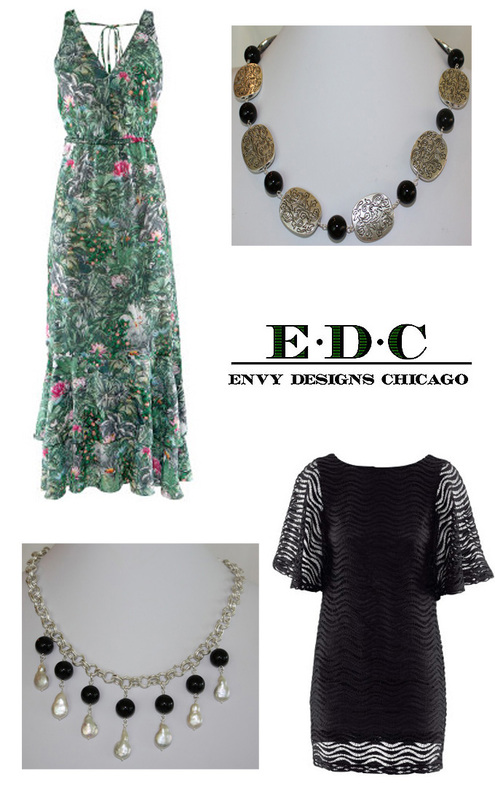 I recently was introduced to Envy Designs Chicago and love their designs! I love the play on patterns with these earrings and necklace paired with this dress and flats from Madewell! What a perfect spring day this would be! Affordable, fun, fashionable jewelry for woman of all ages! And the best part is you receive a 20% discount off one item when you order by entering the code PERIDOTSKYS at checkout. Lisa I adore the first ensemble, fun and classic!